Back in 2008 I put together some programmer T-shirt designs to raise money for charity. 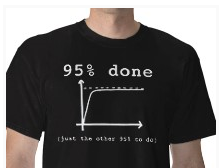 The project was a modest success, selling 99 t-shirts (92 from zazzle.com and 7 from spreadshirt.com). I was hoping it would have done better, but was somewhat hampered by the high price of print-on-demand T-shirts (especially when you have a charity commission on top) and not finding anyone with the time and skills to make up for my lack of design talent. But it has still raised $302.33+£8.94 to be split between worthy charities sightsavers.org and jaipurfoot.org (plus a generous donation from microISV stalwart Patrick McKenzie). Sales have now slowed to a trickle. So I don’t intend to renew the programmer-tshirts.com domain and will shut down the shops in the next 7 days to pay out the rest of the commission. If you want to buy one of the t-shirt designs, I suggest you do it now! It would be nice to break 100. If anyone wants the domain I will transfer it for a donation to charity (email me). Thanks for everyone who helped by sending me T-shirt ideas, linking from their blogs and buying T-shirts. Special thanks to Patrick McKenzie for setting up and hosting the programmer-tshirts.com web site and to Jeff Atwood for running some free ads on stackoverflow.com . 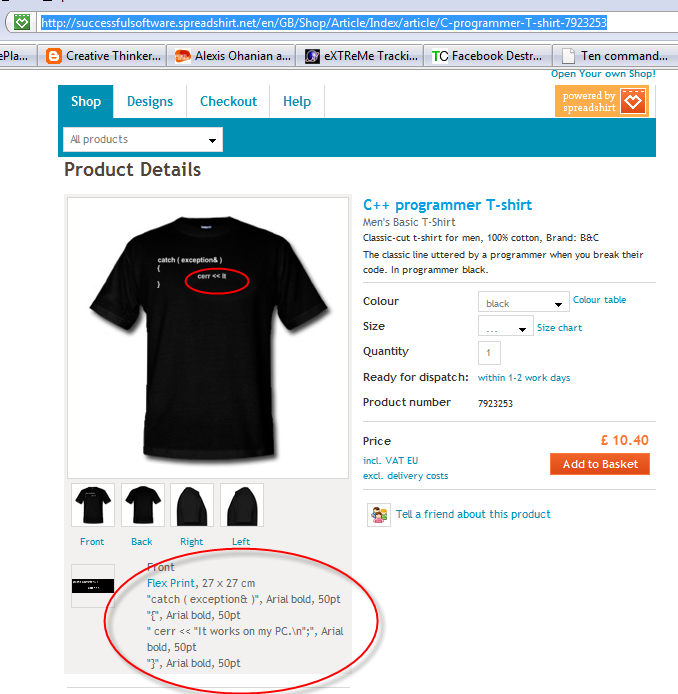 This entry was posted in software, t-shirts on 29 October 2010 by Andy Brice.